It’s obvious that harvesting ripe squashes, cucumbers, and tomatoes will result in meals. Some plants require harvesting to stay healthy and continue producing. Peas and beans left to rot on the vine signal the plant that it’s time to die. Continually picking these tasty morsels keeps more coming. When lettuces bolt and basil plants flower, the results can be tough, bitter leaves. But not right away. When harvesting, select bolting lettuces and flowering basil to get delicious food before it becomes inedible. 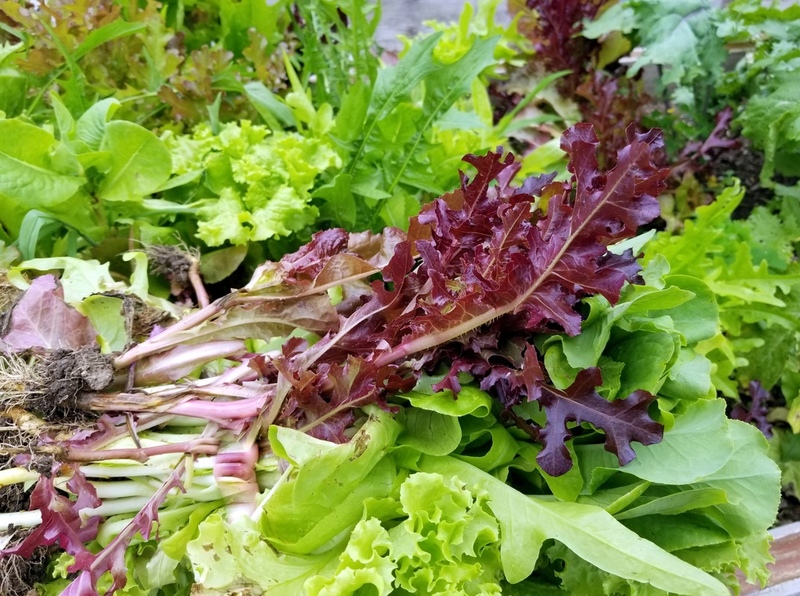 When harvesting lettuces, find the bolting plants and taste a leaf or two. Often, they’re delicious. Pull out the entire plant, harvest the edible leaves, and compost the rest. 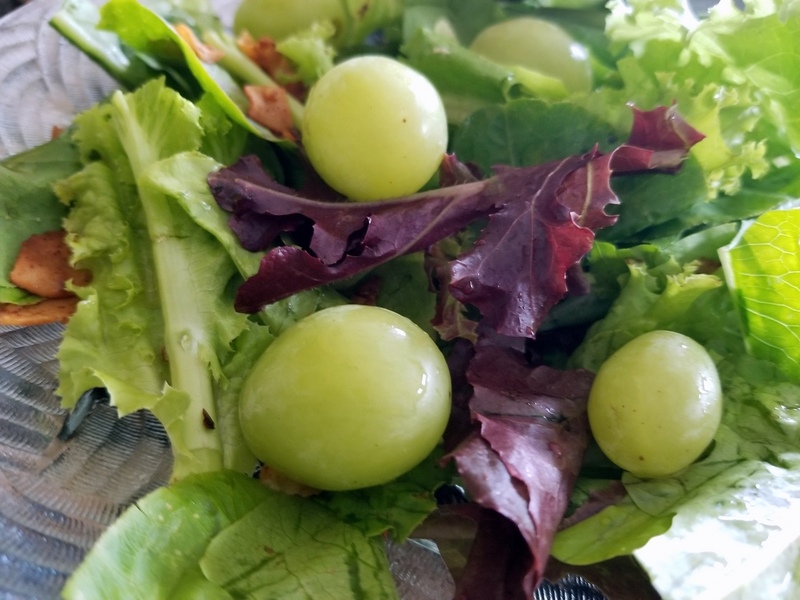 A salad of leaves from bolting plants, coconut bacon, and green grapes with a drizzle of Gravenstein apple white balsamic vinegar. 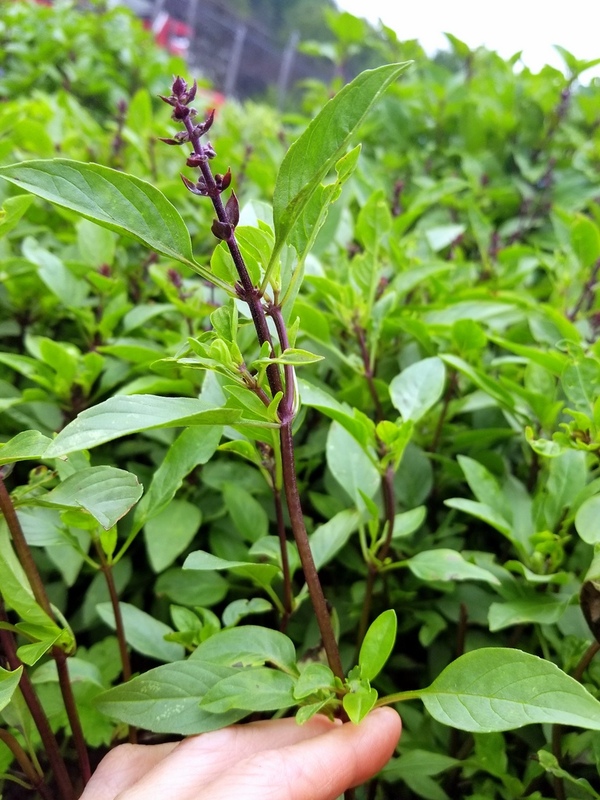 Snipping flowering basil tops just above the new leaves growing beneath gets you ready for pesto while allowing that new growth to take off. 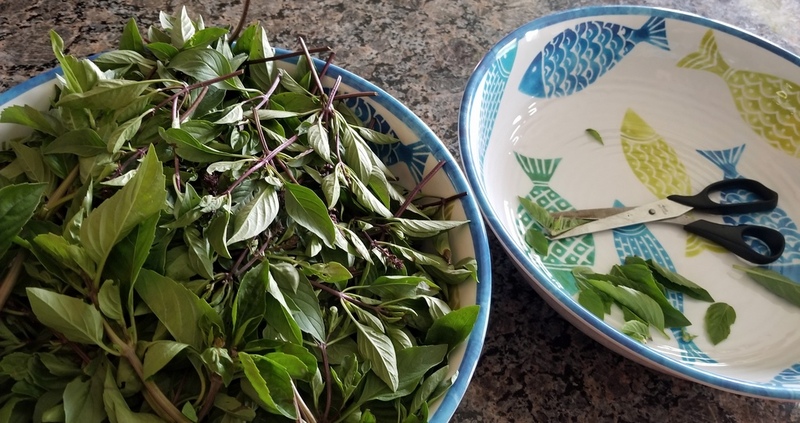 This will soon be Thai basil pesto from a recipe I found.